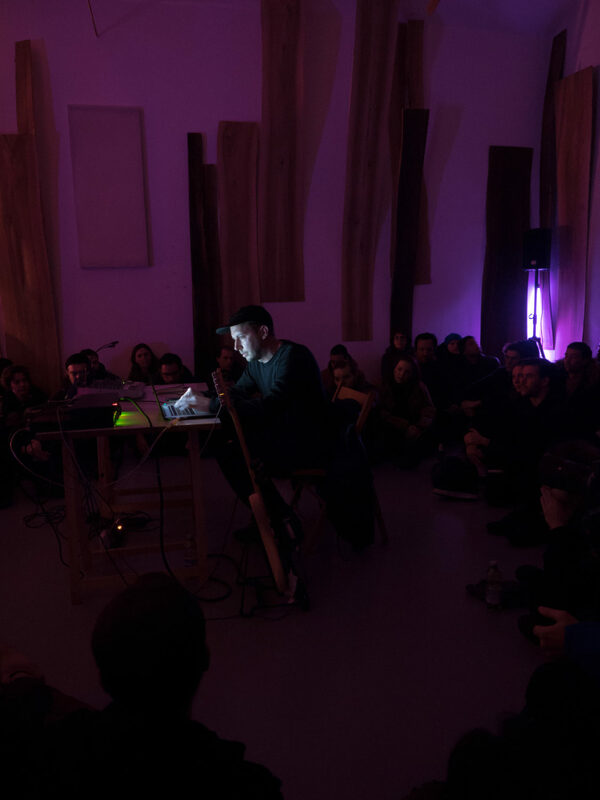 Having felt restrained by the limits of traditional instruments and the techniques tied to them, composer, music producer and artist, Konrad Sprenger (b. Joerg Hiller), spent years developing various algorithms and custom instruments to realize his work. 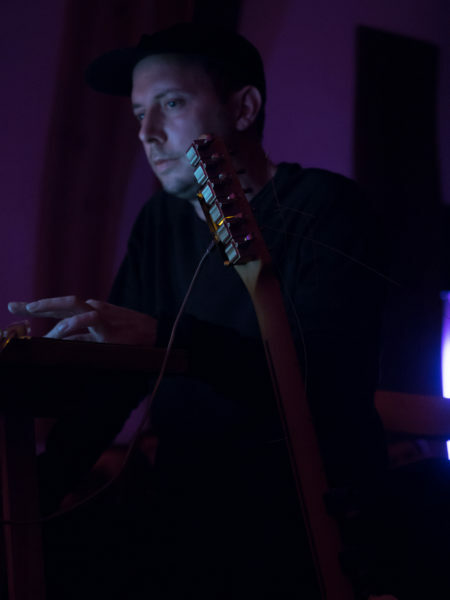 His recent focus has been on rhythmic patterns based on the Euclidean algorithm, using a computer-controlled multi-channel electric guitar. Informed by early American folk music and its descendants (John Fahey et al), his new album Stack Music presents a selection of recordings over the years from residencies and live performances, such as ’Opening’, an early live performance of the digital guitar system recorded in New York and composed at Phill Niblock’s Intermedia Foundation Loft, whilst ’Rondo’ consists of recordings of the guitar played by a motor with shoelace exciters, horns, and piano harp. In ‘Largo’, he utilises the software Melodyne to generate midi notes from a original guitar system recording. 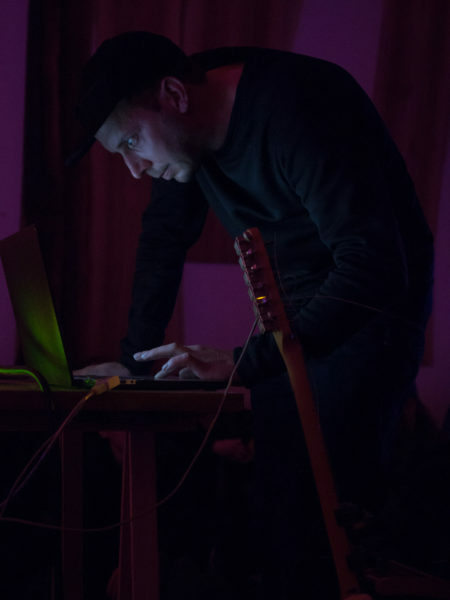 Joerg Hiller is a composer and musician residing in Berlin. He founded the label Choose, for which he has produced and participated in projects with artists such as Ellen Fullman, Arnold Dreyblatt, Robert Ashley and Terry Fox. He has collaborated with the Honey-Suckle Company’s art collective. His works were presented at Hamburger Bahnhof, Berghain, Gallery Giti Nourbakhsch, Podewil, Schaubühne, Pavillon der Volksbühne, Berlin; Badischer Kunstverein, Karlsruhe; Kunsthalle, Baden-Baden; Frankfurter Kunstverein; Künstlerhaus Stuttgart; Kunsthalle Basel; MoMA PS1, New York; Cubitt Gallery, London; Sonar, Barcelona.